At Flash Brows by Heather Gordon, we strive to help our clients look and feel extraordinary. While we can help with exterior beauty, the ProLon diet can help with interior beauty. The ProLon diet assists the body with regeneration and rejuvenation. The ProLon diet works with cholesterol, inflammation, and fasting blood glucose to help the body feel refreshed. 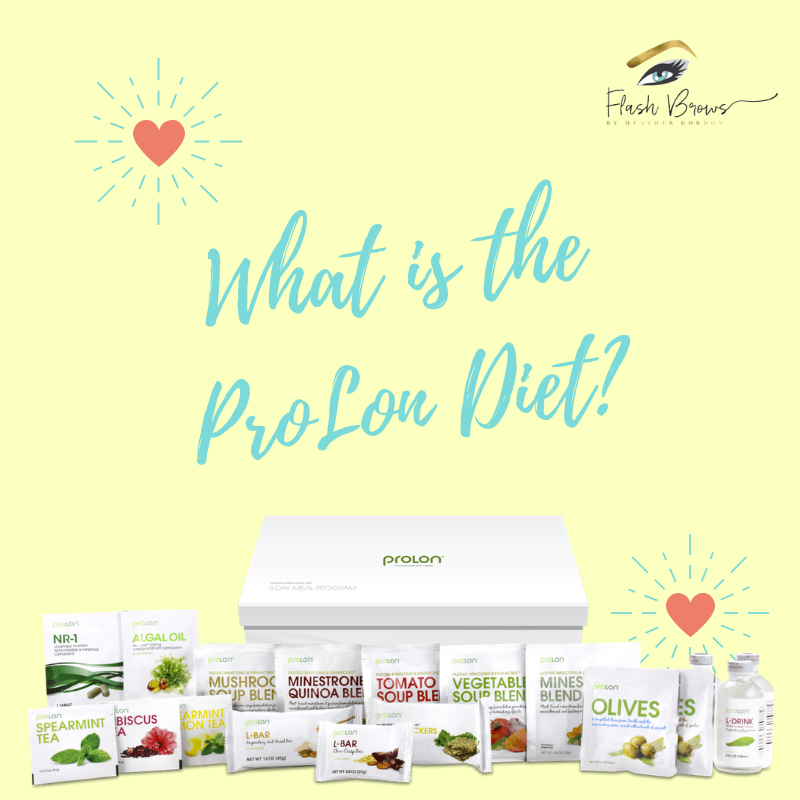 Like any diet, the ProLon diet is dedicated to assisting with fast and healthy weight loss. Clinical studies have shown that ProLon can help people lose an average of 5 pounds of fat and 1.2 inches of waist circumference. Meanwhile, the ProLon diet also maintains lean body mass. Through this diet, individuals consume plant-based ingredients that nourish the body and provide essential vitamins and amino acids. Usually the word diet steers people away, but don’t let the ProLon diet fool you. This diet tastes great. ProLon has worked with remarkable food scientists and chefs to design delicious foods that are also healthy and all natural. Some ingredients include olives, fruits, nuts, seeds, dark chocolates, herbal teas, and vegetables. There are no chemicals or additives involved in the ProLon diet. ProLon is for people of all lifestyles, where you are an active athlete or a busy career-person. The ProLon diet was designed to accommodate the needs of the regular person and help their body perform at its best. If you’re interested in the ProLon Diet, we here at Flash Brows by Heather Gordon can provide ProLon to our customers. Learn more about the ProLon products we have available and give us a call at 972-804-4555 today!